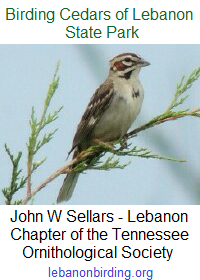 The Friends of Cedars of Lebanon State Park has called for a special meeting to be held on Thursday, 8 December 2016 at 6:00 PM. The meeting will be held at Cabin 13. Other nominees can be considered. If you would like to be considered for a position, or would like to nominate a person, please submit the following. 2. Position being nominated to fill. 4. Before submitting a nominee BE SURE that person is interested in the position. The Board w ill consider all suggestions, finalize the list of nominees, and email a ballot list to all Friends Group members to fill in and bring to the meeting on 12/8/16. The Board reserves the right to approve all nominees, a process that could require an interview with Board members to determine eligibility. Thank you for supporting Cedars of Lebanon State Park. This entry was posted in Announcement, Public Notice. Bookmark the permalink.